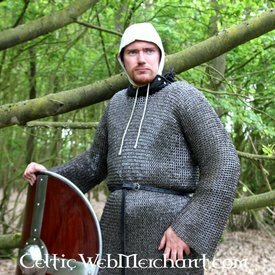 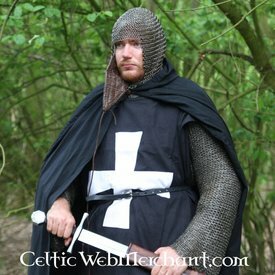 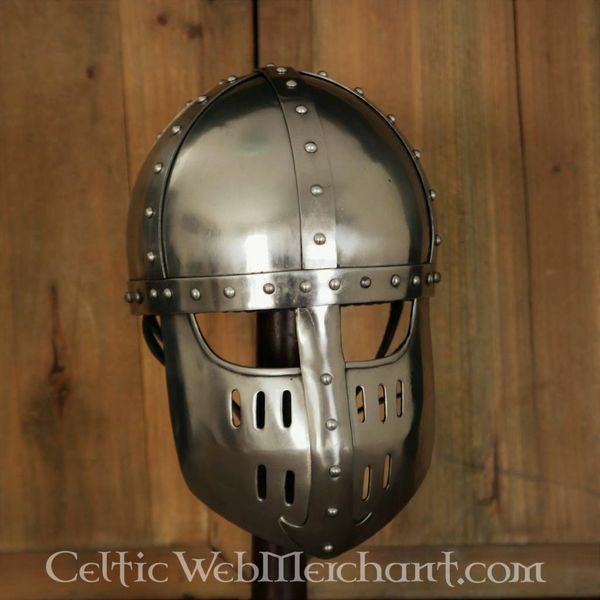 Helmets like this were worn from the 12th century onwards by the Norman knights. 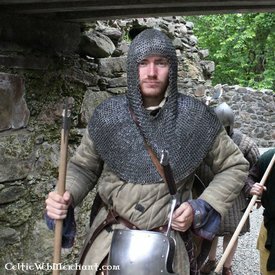 Contrary to the nasal helmet and the Spangen helmet, this type of helmet provided an optimal protection to the face. 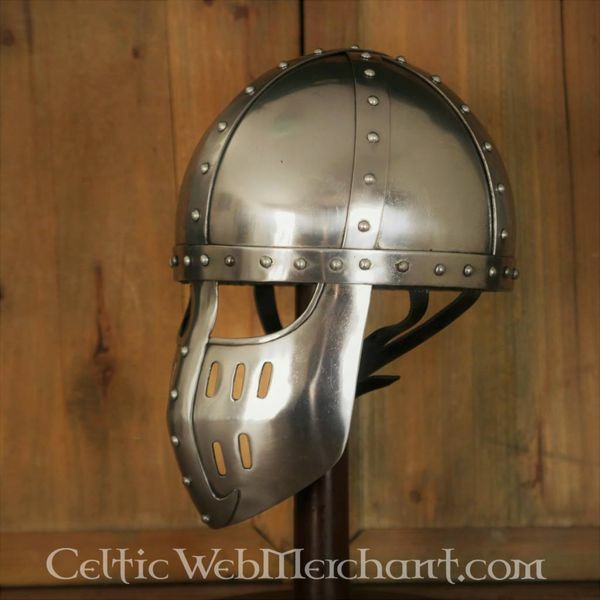 The visor of this early calotte has holes for a good ventilation and an optimal field of view. 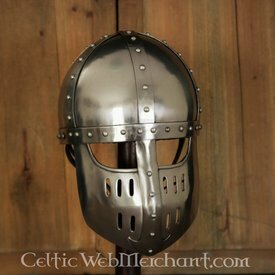 This type of helmet was one of the first types of knight helmets that protected the face entirely. 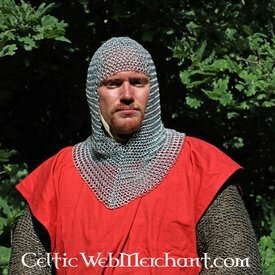 This helmet later developed into the Great Helmet or pot helmet. 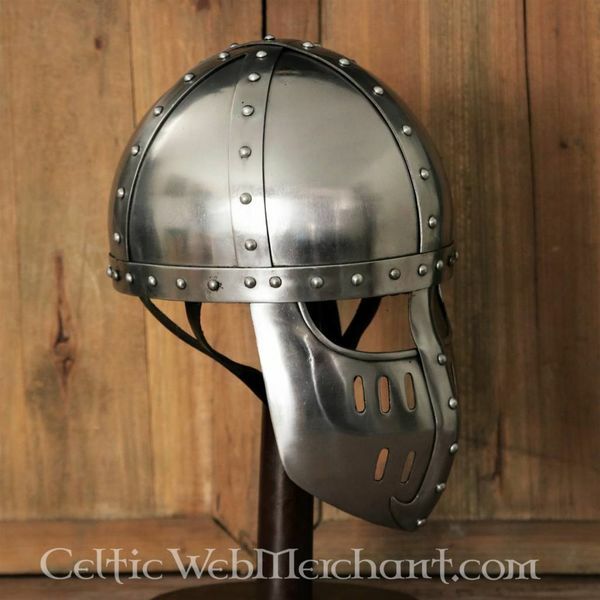 This helmet is battle-ready, made of 2 mm thick steel and has a leather inlay.